I hope you all had a save and Happy Halloween. 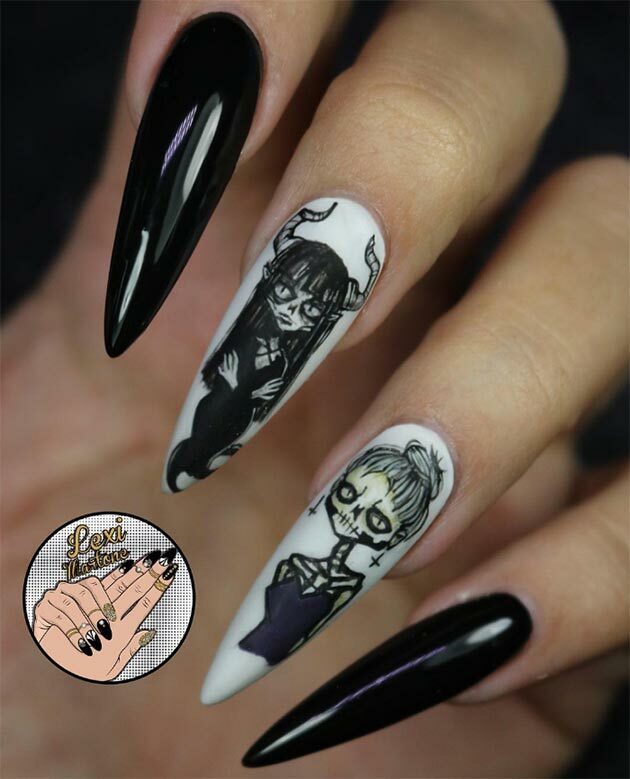 I thought it would be fun to share with you some of the great nail art that I have seen online and in person! Lexi Martone has MAD hand drawn skills as well as doing incredible structure in enhancements! 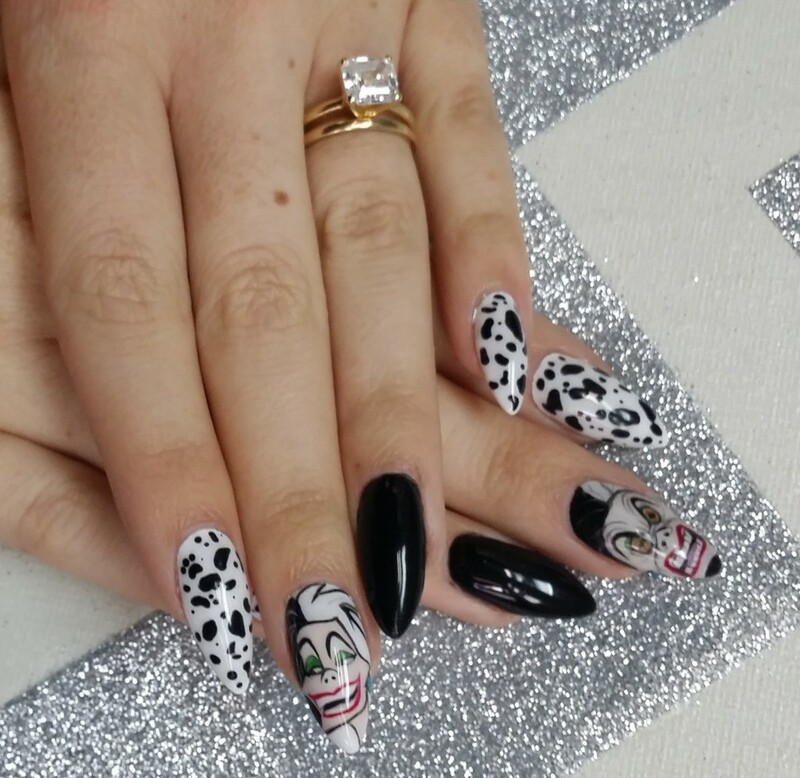 Liz Morris from The Nail Hub showed off these beauties at a business building class awhile ago. Done with Akzentz Gel Play and Luxio soak off gel. 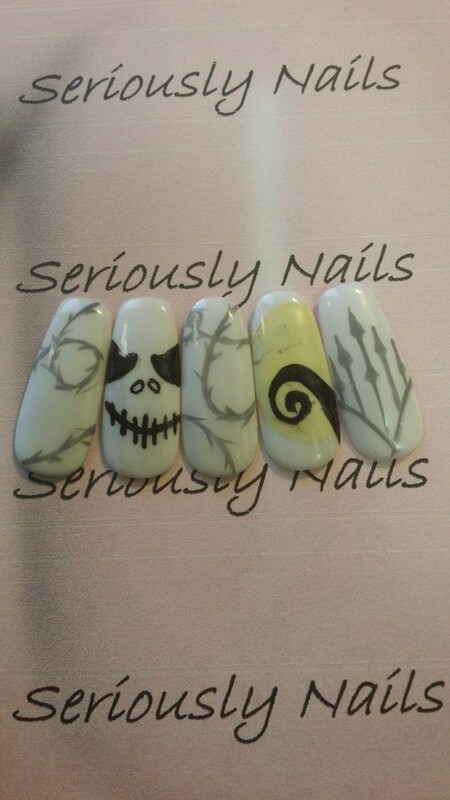 My own Jack Skellington nail art! 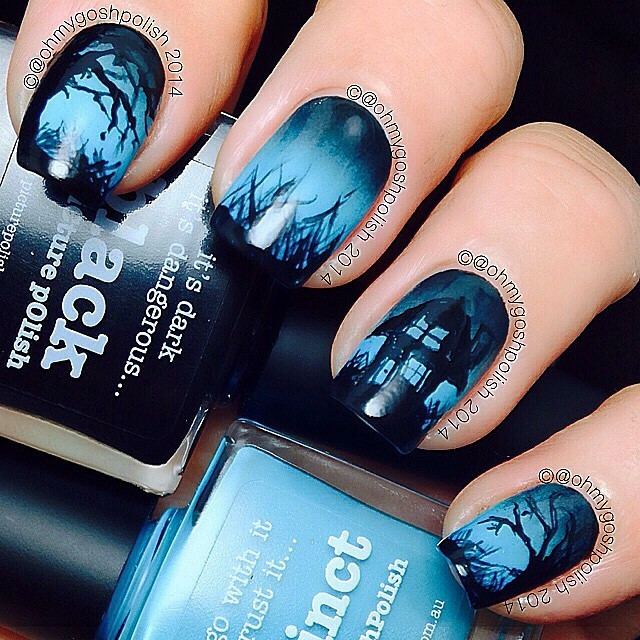 These I found online and look like they were done by Beauty Chocolat. 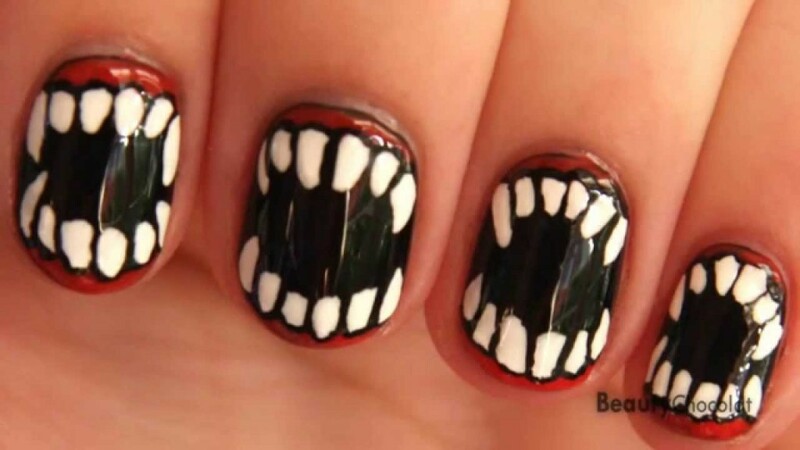 I like that even though the nails are short, they are very dramatic! I like the of non Halloween colors for these ones! 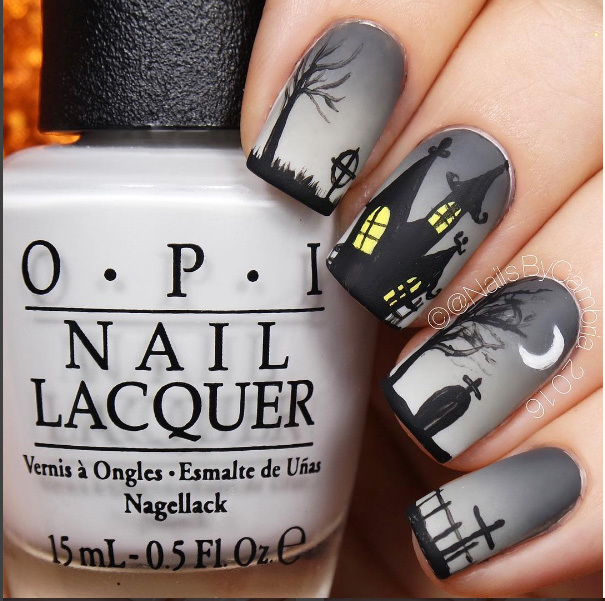 Oh My Gosh Polish 2014 uses non Halloween colors! Another nice scene from Nails by Cambria!